The North MCD mayor trashed the video, which was also retweeted by Chief Minister Arvind Kejriwal, as fake. NEW DELHI: Politics over the blaze at a firecracker storage unit in Bawana heated up after a video captured North MCD mayor Preeti Aggarwal purportedly telling one of her aides that she cannot comment on the licensing aspect as it comes under the civic body's jurisdiction. The North MCD mayor trashed the video, which was also retweeted by Chief Minister Arvind Kejriwal, as "fake". "Arvind Kejriwal by retweeting the video has resorted to dirty politics and he should apologise for that," Aggarwal tweeted. Soon BJP MP and the party's Delhi unit president Manoj Tiwari also tweeted to say that the video was fake. "What can be more disgusting than this when Chief Minister @ArvindKejriwal tweets a fake video. The license for this factory was being given by Delhi government and its Industries Department (sic)," he wrote. The Delhi BJP also issued a statement over the "so-called mayor's video". "We challenge Kejriwal and his party to hear the video and tell what wrong has she said? All that she has said that licence comes under MCD's jurisdiction and we will check then speak on it. What is wrong in it?" AAP's Delhi unit's chief spokesperson Saurabh Bharadwaj hit back at the BJP, saying the MCD (which is ruled by the BJP) is responsible for giving permission for constructions. "It is quite audible that she is whispering in the ears of her aides that 'we will not speak on this because we have given license to this factory. This itself is extra-judicial confession of the MCD mayor'." The BJP statement said the licence is issued by the MCD but the fire department and the pollution control board, which fall under the Delhi government, have to ensure they are not misused. 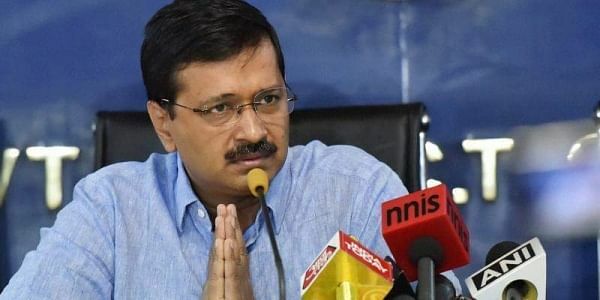 Kejriwal was trying to play up the video "to cover up" his governmentÂ’s failure to provide immediate relief to the victims, it alleged. "In less than half an hour of fire breaking out, BJPÂ’s local unit workers launched relief for the victims and the North MCD mayor was quick to reach out to the victims. No Senior Leader of AAP including Arvind Kejriwal, not even local MLA Ram Chander, came forward to help fire victims," the statement said. It also alleged inadequate medical facilities at the hospital where the victims were taken.